Intuitive Systems, Inc. was founded in 1997 when two McMurry University Computer Science graduates teamed with a McMurry University Biology professor to develop a simulation for the microbiology lab. Alumni John Parker and Lon Outland were working as software engineers and wanted to start a company but had no product; Dr. Gary Wilson had a vision for a computer simulation of the microbiology lab but not the skills to develop it. Within a year they had a working prototype of VirtualUnknown Microbiology. In 2000, the software was demonstrated at the ASM Conference on Undergraduate Education meeting in Pomona CA, and at the Slice of Life/Computers in Healthcare Education Symposium conference at the University of Utah School of Medicine in Salt Lake City UT where it received one of three prizes awarded for excellence in software for medical education. Over sixty software packages were entered in the competition from over a dozen countries found on four continents. VirtualUnknown Microbiology was the only winner not developed at a medical school. Soon after, the software was packaged in one of the top selling microbiology textbooks, Microbiology 7th Edition Media Update by Tortora, Funke, and Case. More recently, VUMIE has become a staple at a number of colleges and universities internationally for delivery of a wetlab simulation for microbiology courses. With the growing demand for online solutions for science lab courses fulfilling requirements for healthcare programs, Intuitive Systems, Inc. is working to make the virtual experience as true-to-life and useful as possible.  To meet this challenge, Intuitive Systems, Inc. has become a family-owned business committed to excellence and innovation. The new chapter begins as we embark on an aggressive development program to further strengthen and expand the software’s simulation of every aspect of a micro lab experience, and as we move into new areas of science education online course support.